On Saturday I, along with many others, marched for science. As a concerned citizen, I felt it was my duty to support the science community. I’ve listed a few of the reasons I participated. I marched because I appreciate the comfortable life I have thanks to science. I love hot water running through pipes, to and from my bathroom. I love to travel and experience new cultures. Our world is full of awe-inspiring inventions. In the future science will continue to discover new ways to improve our standard of living and keep our sweet earth alive. I marched because I’m curious. I want to understand all I can about the world around me. I don’t want to be limited by fear. I believe in a higher power I call God. He has given us the resources and the knowledge to learn about our surroundings. I refuse to believe He doesn’t expect us to use these gifts. I marched for all of you. If we don’t pay attention to science we’re going to destroy our beautiful home. Science gives me hope. I don’t want future generations to suffer because we were greedy or uninformed. I want future generations to have things like National Parks and elephants and clean air. We need to understand that we are all connected. We’re here to learn about one another and help each other. If you’re spiritual in any way, I’m sure your ‘instruction manual’ for life speaks of compassion and empathy. To live this way, we have responsibilities. We’re at a point where we all have to do our part. 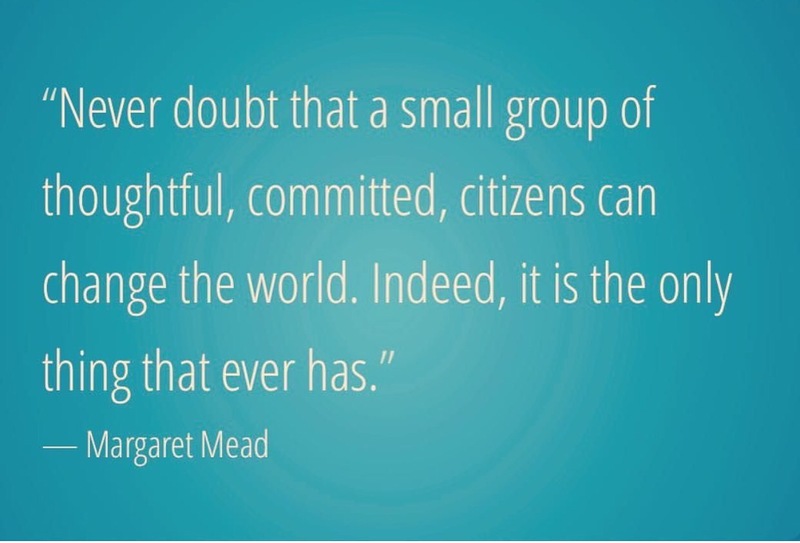 Find your small group and make a difference. One of my favorite posters at the march read, ‘When this many introverts get together in public, you know there’s a problem.’ I hate crowds and social activities make me a little anxious but I walked Saturday because it was important. My last post was about courage. Maybe the march was my first step towards being brave. I don’t know. I only know, I felt good after the march. I found a small group and, in some little way, I made a difference.